In a small Alabama town in Zion County, life is finally looking up for twenty-year-old Donnette Sullivan. Having just inherited her aunt's old house and beauty shop, she's taken over the business, and her husband Tim, recently crippled in an accident, is beginning to cope not just with his disabilities but also with the loss of his dreams. Once a promising artist who gave up art for sports, Tim paints a sign for Donnette's shop, Making Waves. The raising of the sign causes ripples through the town. In a sequence of events--sometimes funny, sometimes tragic--leading up to the surprise denouement, the lives of Donnette, Tim, and others in their small circle of family and friends are unavoidably affected. 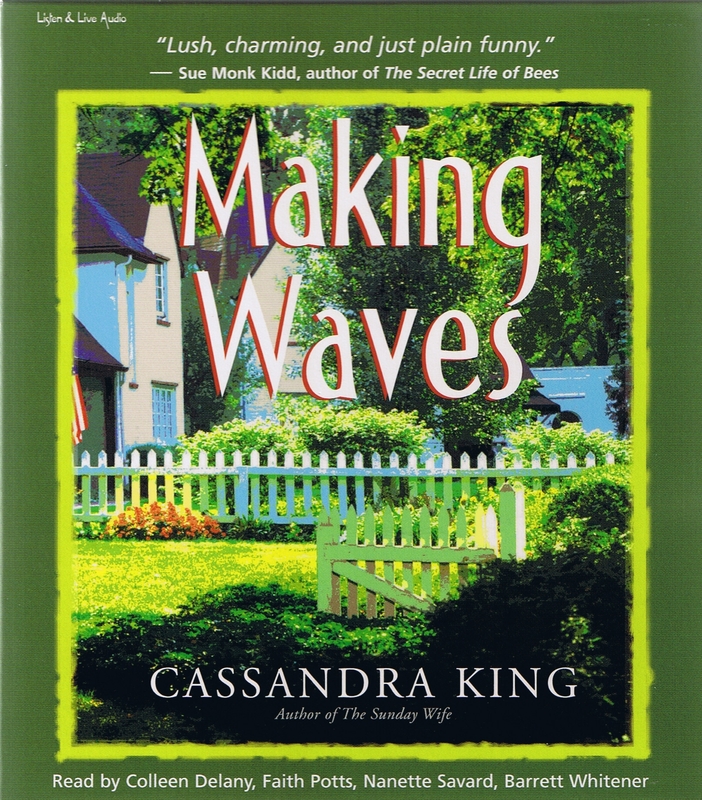 Making Waves is about love and friendship and betrayal, unfulfilled desires and heartbreaking losses. Once the waves of change surge through Zion County, the lives of its people are inextricably altered. Alabama native Cassandra King has taught English and writing at the college level. She has published two novels Making Waves and The Sunday Wife. She has three sons and two grandsons. She now lives in South Carolina with her husband Pat Conroy, whom she met by asking him to write a blurb for her first novel. Colleen Delany has narrated numerous best-selling audiobooks. An accomplished stage and television actress, she has appeared in "Homicide: Life On The Streets," as well as on the highly successful CD-ROM game "Wheel of Time." "By turns happy and poignant, King's tale is told by several characters, creating a multiplicity of viewpoints that offers great insight into southern small-town life." "Told in six chapters, narrated by four different characters, the novel offers a shifting moral landscape complemented by a sharp vision of Southern culture and life."